What does dance teach you? Well, for me, it’s definitely humility since I fully believe that I am a gifted dancer, all evidence to the contrary (as my daughter will absolutely confirm). But for the kids participating in the National Dance Institute in New York City public schools, dance offers this amazing life lesson: that discipline, effort, striving, and practice allow you to create something of beauty, excellence, and pure joy. 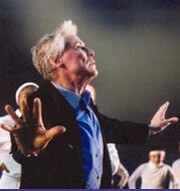 The inimitable Jacques d'Amboise. Photo by Eduardo Patino. The National Dance Institute was founded by New York City Ballet principal dancer Jacques d’Amboise in 1976. Growing up in a low-income family in Washington Heights, Jacques’s own life epitomizes the transformative power of dance, and he passionately believes that every child – regardless of socioeconomic status, language, cultural background, or physical ability – should have the opportunity to experience the joy and power of the arts. So d’Amboise started bringing professional dance teachers and musicians into public schools – not in after-school programs but as a vital part of the regular curriculum, offered free to every child who wants to participate. He has hiked the Appalachian Trail to raise funds for his program, and inspired hundreds of dancers to get involved. Ellen Weinstein, Artistic Director of NDI, with students. Photo: Angel Gardner. 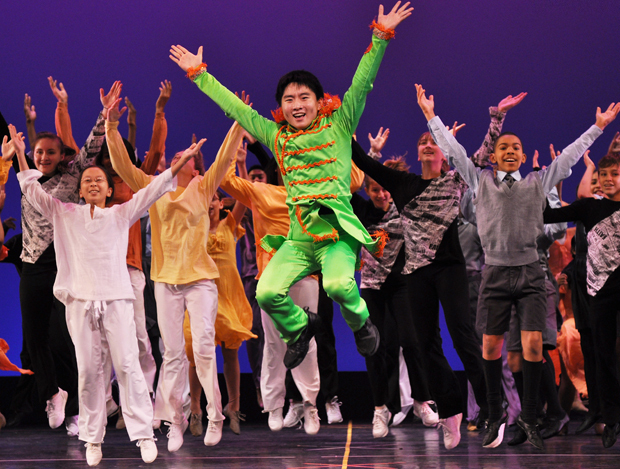 Through its 34 years, NDI has touched the lives of more than 2 million public school kids, and today, 4,000 children spend 30 weeks in intensive classes led by professional teaching artists in Manhattan, Brooklyn and the Bronx. The majority of these kids are low-income and multi-cultural– in mainstream, bilingual, and special education classes. The kids don’t start out as dancers, but they sure end up there. The National Dance Institute pedagogy develops and insists upon excellence, and the children find that when they confront a bar held resolutely high, they can achieve more than they ever dreamed. "The Storyteller" photo by Eduardo Patino. For tickets to The Storyteller click here. To donate to NDI, click here. Hooray for NDI! Hooray for Betty Londergan!